My wonderful husband & I will be traveling to the beautiful Israel, to go on an amazing tour. I am excited to share everything about it once I’m back in the office. 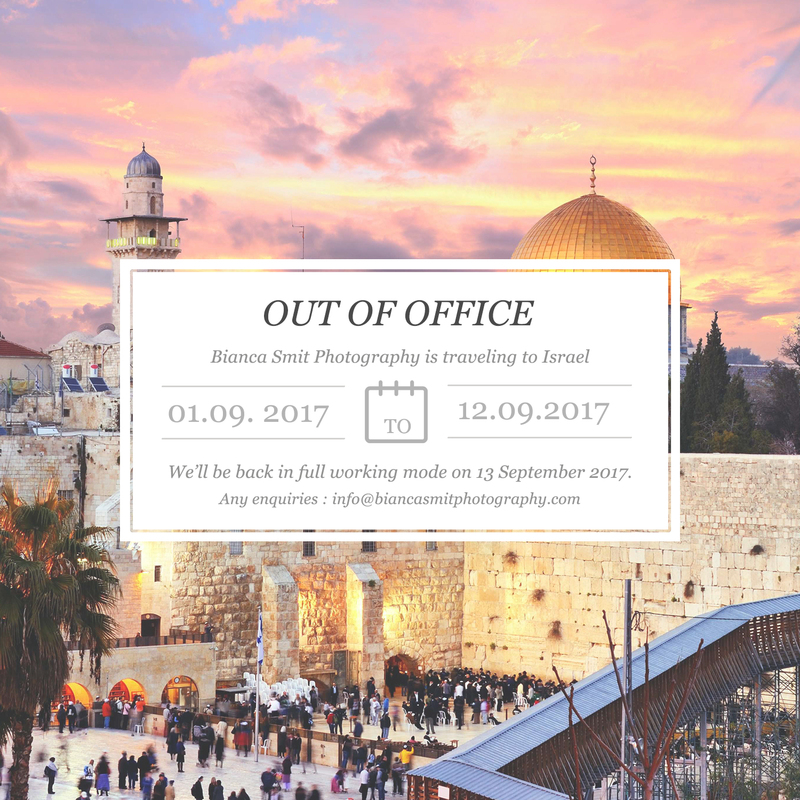 I will be planning & prepping this week for our trip, as I am done working for the week, and officially closed for August, but will still be active & respond on my emails until Thursday, 31 August 2017. I’ll be back at the office on 13 September 2017.